Cedar Realty Trust (NYSE: CDR) hired Bruce Schanzer in 2011 to serve as the company’s president and CEO, and upon taking the helm, it was apparent to the industry veteran that Cedar needed to redefine its strategy. Cedar Realty was originally organized in 1984 as Cedar Income Fund, and the firm eventually filed for an initial public offering (IPO) on the New York Stock Exchange (NYSE) in 2003 as Cedar Shopping Centers. Cedar’s portfolio lacked a firm strategic direction, maintaining investments in malls, unanchored strip centers, net-leased drug stores and land parcels spanning geography from New England through the Mid-Atlantic and into the Midwest. Although the company grew dramatically post-IPO, it underperformed most other shopping center REITs on a total shareholder return basis. As part of the management transition in 2011, the company changed its name to Cedar Realty Trust and shifted its focus to owning primarily grocery-anchored shopping centers straddling the corridor from Washington, D.C., to Boston. Jason Lail, an analyst on SNL Financial’s REIT research team, says streamlining and getting rid of non-core assets made sense for Cedar. Now that the process of repositioning its existing portfolio is nearly complete, Cedar has a pipeline of redevelopment opportunities within its current portfolio to deploy capital at healthy yields. 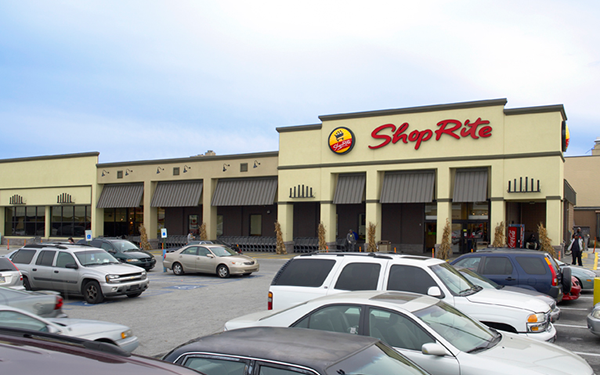 Today, the company owns 67 shopping centers with approximately 10 million square feet of space. Traditional supermarkets are represented in 82 percent of its portfolio, and nearly 93 percent of its centers have a grocery component. A defining transaction for the company was the unwinding of the Cedar-RioCan relationship in October 2012. Cedar and RioCan (TSX: REI), a large Canadian shopping center REIT, formed a joint venture in 2009 at a time when Cedar was experiencing the stresses of the Great Recession. Cedar had seeded the venture by selling RioCan an 80 percent stake in seven of Cedar’s shopping centers along with a 14 percent interest in Cedar’s common stock. After the formation of the joint venture, Cedar and RioCan acquired another 15 shopping centers together on an 80-20 basis. In unwinding the joint venture, Cedar acquired Franklin Village, located in the Boston suburb of Franklin, Mass., which was arguably the best center in the joint venture, according to Mays, and is now one of the best centers in Cedar’s portfolio. RioCan sold its stake in Cedar in February 2013, allowing Cedar to achieve an attractive shareholder rotation and giving it a more “classic REIT investor” feel, Mays says. One market trend that the company has observed is the growing diffusion in how groceries are sold. Whereas 20 years ago groceries were sold primarily in traditional supermarkets, groceries are now part of the product offerings at superstores, warehouse clubs, drug stores and even dollar stores. Andrew C. Sucoff, partner and co-chair with Goodwin Procter LLP, says he believes Cedar should be commended for its transformation, feeling the investment market will embrace the clean balance sheet and strategic shift. Mays points out that the asset class is holding strong against competitive pressures from the Internet. Even as Amazon.com and other competitors expand online grocery delivery, he says he does not see these concepts meaningfully taking away from Cedar’s grocery tenants for a variety of reasons that appear likely to endure. As the company looks to the last quarter of 2013 and ahead into 2014, Schanzer says he is very excited about Cedar’s plans. Cedar also has the opportunity to meaningfully reset the rents on a significant portion of its portfolio as a result of lease maturities, as approximately one-third of its square footage is maturing in the coming two to three years at below-market rental rates. Schanzer often tells his team that Cedar has three objectives over the coming five years: to get bigger, to get better and to get leaner. Cedar Realty has experienced a transformation of late that can be observed from a number of perspectives. Thanks to its dispositions, it is a smaller, more focused company with 67 primarily grocery-anchored centers. Cedar Realty has also grown leaner, with 70 employees versus 115 at substantially reduced overhead that makes more sense for a company of its size.